You can enhance your Peterborough home easily and efficiently with our incredible French doors. Offering stunning looks and outstanding performance, these home improvements are a popular choice throughout Peterborough. Here at Art on Glass, we offer high-quality French doors that are expertly installed almost anywhere in your home. We have extensive experience, and our highly regarded customer service and accredited installations achieve the very best standards in Peterborough. Take a look at our guide to French doors to see how impressive these stunning doors really are and how they could benefit your Peterborough home. When you choose French doors for your home improvements in Peterborough, you will be able to enjoy a stylish entrance that oozes elegance. Our stunning French doors are superb, coming in a range of RENOLIT colour finishes and woodgrain foils so that you can truly personalise your entrance. Whether you want a look that contrasts with your home, or that complements it, our French doors will meet your requirements. They are also superbly adaptable, making them ideal as an entrance to your garden or an opening to your balcony. They can even be used for Juliette balconies, creating an exquisite feature in your home. When you choose French doors from Art on Glass for your home improvements, you are benefiting from the outstanding Liniar innovation. We work with this highly regarded manufacturer so that our customers receive the most impressive double glazing on the market. With our French doors, there is a range of features that enhance not only the looks, but also the performance of your French doors. There are options of our bespoke range of Italian ‘Dynamic 2D’ door hinges which offer a slimline design, enhancing the elegance of these doors. In addition to that, our French doors also have a milled frame to threshold jointing system that eliminates the need for unsightly moulded plastic caps. You can even opt to have door restrictors installed, ideal for young families. These are an optional feature that stops the doors being opened too far back, keeping children safe. Nothing is more important when it comes to entrances to your property than security. You need to be confident that your home is safe and secure – with our French doors, you will have complete peace of mind. The superb reinforced profile is designed to provide exceptional strength, making this doors difficult to break. This hidden feature makes our French doors robust and durable, enabling them to withstand physical attacks. We then install the very latest Yale shootbolt locking mechanisms. These multipoint locking systems are crafted to the very highest standards and are renowned for their superior security performance. When you choose Art on Glass for your new French doors in Peterborough, you can have complete confidence that your home and family are protected. 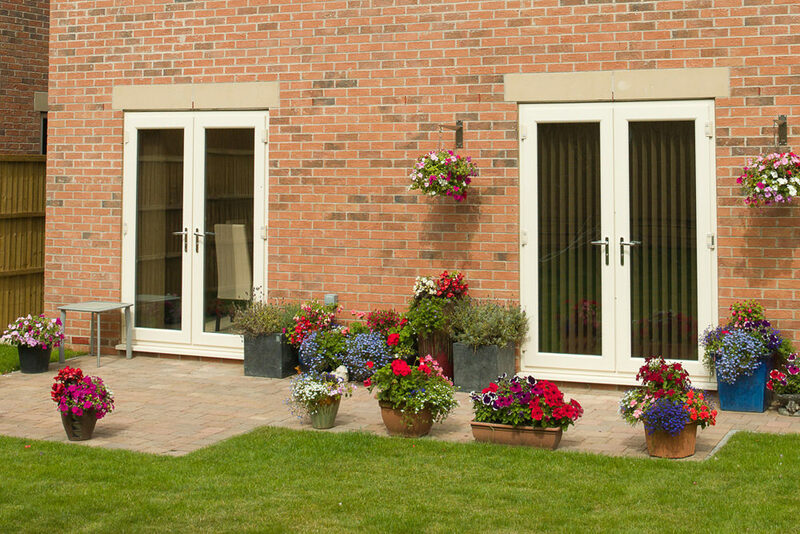 Our French doors are manufactured using Liniar’s state of the art thermal performance designs and technology. They have a multi-chambered profile which traps air within the frame to create a thermal barrier. Used in all of our uPVC windows and doors. This ensures that cold air can’t enter your home and warmth can’t escape, which works to keep your home warmer for longer. Of course, the benefit of this is that with a warmer home, you will need to use less heating and so will enjoy lower energy bills, making our French doors extremely cost effective! Home improvements need to last the test of time to ensure that you get great value for money. When you choose our French doors for your Peterborough home, not only can you expect long-term performance, it’s guaranteed too! We offer a 10-year manufacturer’s guarantee from the date of installation when you choose our French doors. This ensures that you can be completely confident that your new doors will not warp, rot or discolour for a minimum of 10 years. What better reassurance could you have? We have a great team on hand to answer any questions you may have and provide expert advice and guidance for your home improvements. Our French doors are a superb choice for any Peterborough home, so get in touch with our advisors and see how we can help you to create an elegant and stylish entrance in your property. 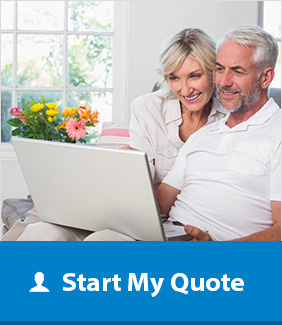 Our prices are highly competitive and our team are happy to provide you with a quote, or you can get an instant French doors price with our online door designer. 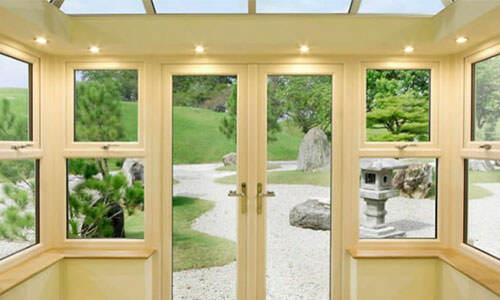 It enables you to pick and choose the exact options you want for your French doors and then gives you a tailored cost.